There has been much discussion about the Jimmy Butler sweepstakes and how the Denver Nuggets could potentially fit into the equation. Yet, the Nuggets have not been reported to have interest in trading for the All-NBA forward. The reason seems to be because they will not part with any piece of their young core. 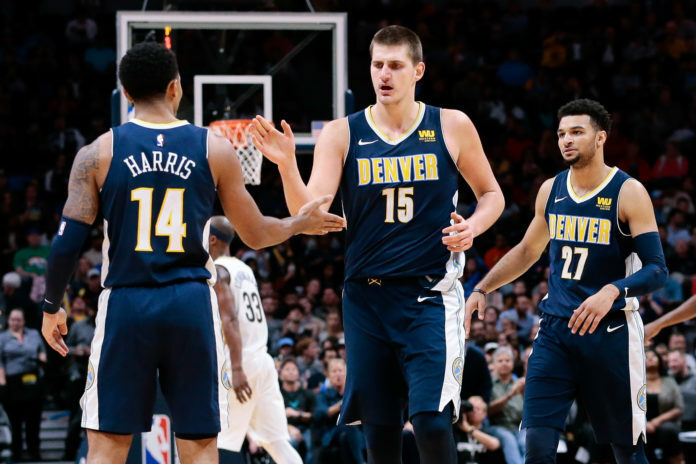 A league source has told Mile High Sports that the Nuggets young core of Jamal Murray, Gary Harris, and Nikola Jokic are all “untouchable” in trade talks. That young trio is looked at as the future of Nuggets basketball and they are being treated that way by the front office. For Jokic and Murray, this is pretty much business as usual. They both have been considered untouchable for the majority of their NBA careers. For Harris, things have not been as stable. Just over a year ago, during the 2017 NBA Draft, it was Harris who was rumored to be involved in trade talks. Reportedly, Harris would have been sent to the Indiana Pacers with Kevin Love coming to Denver in a three-team deal that would have also sent Paul George to the Cleveland Cavaliers. 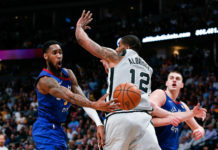 Now, after another year full of improvements and high-level production, a league source has told Mile High Sports that Harris has worked his way into being considered a franchise cornerstone just like Jokic and Murray. Harris has earned his status as an untouchable player through hard work and constant growth as a player. Harris averaged 17.5 points, 2.6 rebounds, 2.9 assists, and 1.8 steals last season over 34.4 minutes per game while shooting 48.5 percent from the field, 39.6 percent from the three-point line, and 82.7 percent from the free-throw line. He solidified himself as the perfect compliment to Jokic and as one of the most steady and consistent players on the Nuggets roster. Harris is also starting the first year of his four-year contract extension this season worth a guaranteed $74 million with an additional $10 million in incentives that could make the full contract worth up to $84 million. Jokic is coming off of a season where he solidified himself as the Nuggets best player and as a top-20 player in the entirety of the National Basketball Association. 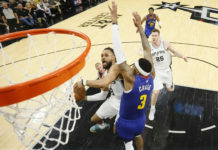 Last season, he averaged 18.5 points, 10.7 rebounds, 6.1 assists, and 1.2 steals over 32.6 minutes per game while shooting 49.9 percent form the field, 39.6 percent from the three-point line, and 85 percent from the free-throw line. Murray also had himself a breakout season last year. His strong sophomore campaign has led to him being cemented him as the Nuggets’ future at point guard. He averaged 16.7 points, 3.7 rebounds, 3.4 assists, and one steal over 31.7 minutes a night as a 21-year-old. 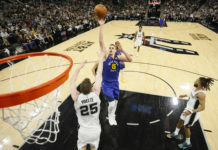 He shot 43.2 percent from the field, 37.8 percent from the three-point line, and 90.5 percent from the free-throw line.